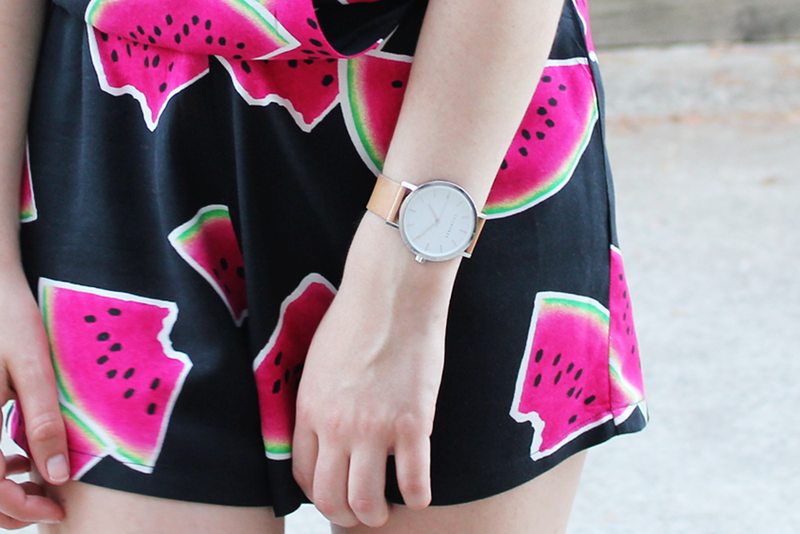 The second I laid eyes on this fun and fruit-filled playsuit, I rushed over to my nearest Glassons and made it mine. I'm usually one to stray from low-cuts and opt for a high-neck, but the overlapping cut is so flattering that it'll be promoted to a wardrobe regular pretty quickly. What better way to spend every day of Summer other than prancing around in a lush watermelon print playsuit and eating your own water weight in fruit? Oh that playsuit is gorgeous! I love the print, very fun and refreshing. I adore this playsuit! The patterns are lovely and you selected perfect shoes and jewelry for this outfit! Also love the sunglasses! Oh my, your romper is so adorable!! I love this little shortsuit! It looks great on you. It's very playful!